Dating the Wrong Men is great for all mature ages where they’re getting close to dating and up. However, since each young person is different, I suggest to have an adult read the book first to determine if your adolescent is ready for it. There is definitely a comradery between the fans who have a few years under their belt of dating frogs, who have ‘been there – done that’ comparing the chapters of my book to their own life. However, one thing I consistently hear about Dating the Wrong Men from fans is that they wished they had read it when they were younger to help avoid the similar pitfalls that they had to live through with their own ‘Wrong Men.’ The younger audience tends to appreciate it in another, guide-like way. A major aspect I took into consideration with the book was using my experiences so people would not get into the same situations. This is why, at the end of every chapter I created a “Signs you’re dating a (fill in cheater, freeloader, etc)” and my thoughts and approach to getting out of the difficult situations we find ourselves in when dating the wrong person. With these two aspects of the book, intertwined into my story, I have several people at this point call it a “Dating Bible” and many other send me photos of Dating the Wrong Men highlighted at these areas so they can return to them for a quick reference of their current situation. Thank you so much for your question! I hope that helps! 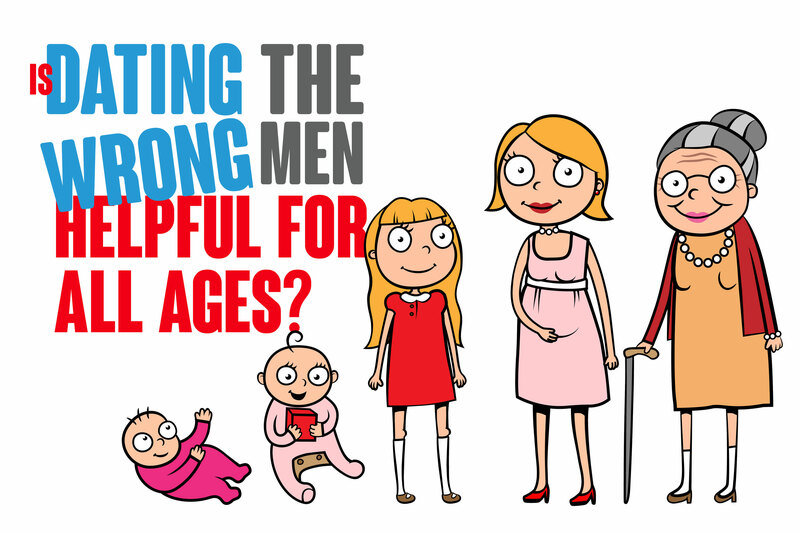 0 Responses on Is Dating the Wrong Men helpful for ALL ages?"